The James J. Eagan Center in Florissant, Missouri witness the return of the KitoKan Judo Tournament on March 7, 2015. This event, ran by judo legend Eiko Shepherd, went on a brief hiatus before returning to the Missouri Judo tournament circuit. Team White Dragon entered the tournament with 10 competitors, 3 who were making there tournament debut. Sensei Derick Wellman and Randy Pierce were a part of the officiating team for this tournament. The coaching staff had 5 members, the largest to date. Dan Dillon, Eugene Hamilton, Jay Baker, Anthony Weeks and Demonn Smith all were designated coaches (DC) for Team White Dragon. The junior division featured the tournament debut of Sam and Lilly Coln. The teens have been practicing and refining their skills for months and were so excited to put them to the test. In the female 13 and up novice category, Lilly showed great poise and determination on her way to a silver medal finish. Sam Coln faced tough opposition but showed great potential. He did not medal in this tournament. Anthony Darevesky fought an excellent tournament but also fell short of the medal stand. In the senior division, it was the Batman Returns as the Mongolian phenom Bat Unur Erdenebayar earn his third consecutive gold medal in a 10 month span. 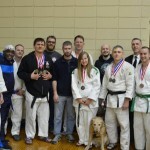 Judo veteran, Glen Trotter earned a gold medal in Master’s and silver in the senior division. Matt Davis took a bronze in his tournament debut. Marissa Arndt showed off her tournament form with a hard fought silver medal in her category. Dan Raney represented with a silver medal finish in the Master’s heavyweight division. School was in session when the teacher, 2 time visually impaired national champion Adnan Gutic stepped on to the mat. It seemed like no opponent had an answer to Gutic’s ground fighting skill. Gutic was the MVP of the tournament as he performed a gold medal sweep. Adnan competed in three division, seniors, master’s and open, and walked away with three gold medals. 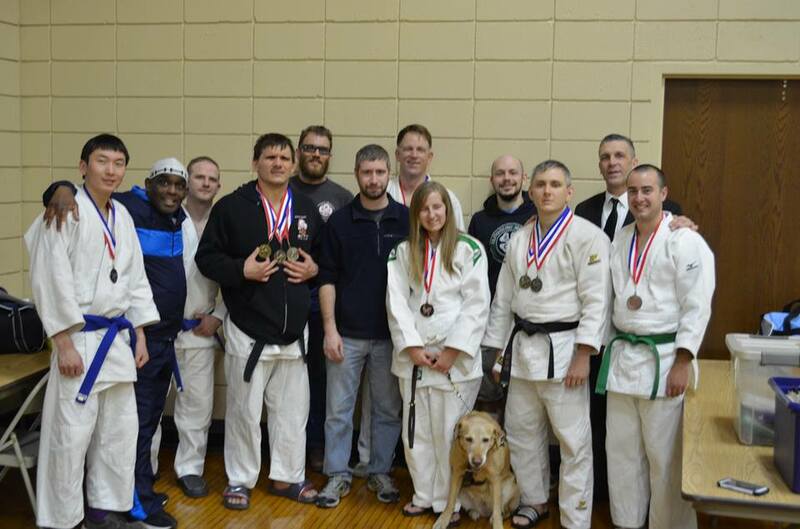 In the medal count, Team White Dragon came out on top with 10 medals in this tournament. On this day, White Dragon Judo Club did not fall short of excellence.